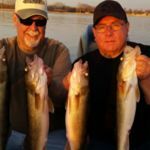 I am a long time avid fisherman, USCG Captain, licensed Wisconsin guide, and a Green Bay and Lake Winnebago walleye tournament angler. 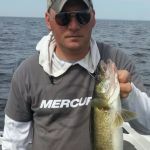 I have numerous top ten finishes, multiple biggest fish awards, and in 2011 won the Mercury Marine National Walleye Tournament. 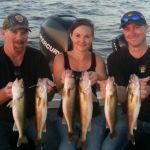 Get 'em Hooked is a multi species guide service that specializes in Walleye, Perch, Bluegill, and White Bass. 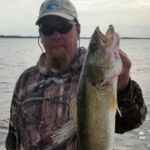 My passion is to take people of all ages and fishing abilities out for a action packed day on the water. 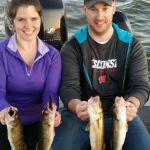 With some of Wisconsin best lakes and rivers surrounding me, I am constantly out finding the hottest bites to make your trip memorable. 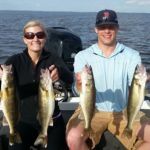 From trolling Green Bay trophies, jigging river walleye, slamming big bluegills, or pounding perch and walleyes on Lake Winnebago. I will try my best to have you catch your limit and teach you all the techniques I have learned along the way. Hop in my boat and lets Get 'em Hooked! My Boat Is a spacious 21ft, 621 Ranger, 250 Mercury Verado, 9.9 Mercury ProKicker, Minnkota 101 Terrova and 101 engine mount trolling motors, and 3 Lowrance HDS units. The rods I guide with are top quality Fenwick / Pflueger combos. All fishing tackle, rods, will be provided, unless you prefer to use your own. Click here for RATE information! I offer weekday afternoon specials along with a 10% discount to all, Active Military and Veterans! Your welcome to bring your rods and gear if you would prefer to use them.